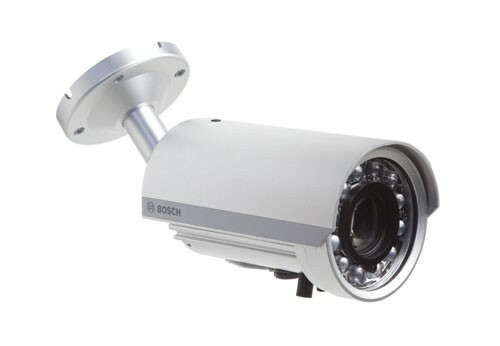 The WZ20 bullet camera has 30 high‑power infrared LEDs that provide high performance night vision images up to 45 m (150 ft). The 1/3‑in CCD sensor delivers 540 TVL of color imaging with outstanding IR spectral response, and video images with low-smear, low-streaking and excellent antiblooming characteristics. The versatile 5 to 50 mm IR-corrected lens provides outstanding performance under both visible light and infrared illumination. The mechanical filter technology helps eliminate focus shift and infrared bleed.